The Water Rat will not miss any opportunities life throws out there. Those born in the year of the Water Rat may go through some hard times when young. They will reach success when adults, and they will also build an amazing family. They are kind and fast-thinking creatures who can have great innovative ideas. It’s easy for them to overcome obstacles due to this. The more they will develop strong relationships with others and work hard, the greater the success they’ll have in their career. Advice: Keep a distance from the negative thinkers in your life. They have a good eye for opportunities and can make the good money without struggling too much. While they are good with people, they feel better in their own company. Water Rat people are smart and people with many talents that they’re using each time they get the chance. They prefer deep thinking and expressing themselves openly, which has them functioning perfectly during difficult times. They always want to learn and have many talents. If they would be more focused, they would be able to accomplish much more as far as their personal and professional life go. They are very popular and terrified of being lonely. This is why they may end up with the wrong people. These natives have a great talent for writing, so a career as journalists and storytellers would suit them very well. Another thing they have is a tendency to focus on side things and forget all about their work. That’s why they should learn how to take things one at a time and move to the next task only when they are done with the current one. Negative emotions and stress can very much influence them. They want to make their family happy too much, so they worry all the time. More than any other sign in the Chinese zodiac, they are short tempered and irascible because they have an unexplained anxiety. It’s not their fault they work too much and want their loved ones to be as satisfied as possible. Rats are clever and witty people who can find solutions to problems with which others no longer know what to do. It can be impossible to have them cornered, but if you manage to do it be careful because they can be very dangerous. They are only thinking about their family and the comfort of their own home, so they won’t accept someone who interferes with the people they love the most. Their revenge can be cruel, so don’t mess with them. Workaholics, Water Rat people can take too much and not deal with their projects on time. When Water is the element that dominates their chart, they become more persuasive and easy to deal with. Sociable and always surrounded by friends, they are calm and focused people who can solve even the most complicated problems. Not to mention they have a lot of patience and wait for the solutions to reveal themselves gradually. Practical, they are not the book-smart type. Their intelligence is more about dealing with the everyday life. Because they love to help and are ingenious when solving problems, many people will come to them for support and good advice. They don’t mind helping, but they will always think of themselves first. At least they would never deceive or cheat their friends and relatives. Because they are so loyal, many will love and respect them. And when it comes to hard work, they are not even thinking of running away from it. Proud of their accomplishments, they don’t mind sharing with others what they have managed to attain through their hard work. Not to mention they will work in a manner that helps as many people as possible. They recognize opportunities and are smart enough to grab them in a strategic and forceful way. Their evolution happens naturally, from their youth to old age. The natives of this sign and element are talkative yet still want a peaceful and quiet life at home. Most of the time, Water Rats are traditional, preferring not to swim against the current. They plan carefully, so life can’t surprise them too often. Because they would rather be alone, many of their friends will decide to leave them behind. Water Rats are delicate, emotional and reflective. As a matter of fact, they are the representatives of feelings in the Chinese zodiac. Just like water takes the shape of the mug in which it’s being poured, Water signs adapt themselves to the emotions of those surrounding them. Emotional, these natives need to communicate all the time. The same element makes them rational and fast-thinking, but also chaotic because water doesn’t stay the same if agitated. Those who are Water can convince and manipulate others to do what they want. They are spiritual and deep, enjoying any social situation with all their heart. Their intuition is based on their spiritual inner feelings, and they can function very well guiding themselves by it. This element makes them good at influencing people. Because they’re intelligent and insightful, they can solve any problems without struggling too much. Understanding and practical, Water Rats are very functional in their everyday life. Not to mention how much generosity and compassion they can have for the ones they love. But they will always think of themselves first. Many will like and respect them. Not even the fact that they’re self-centered can have them lose the respect of others. 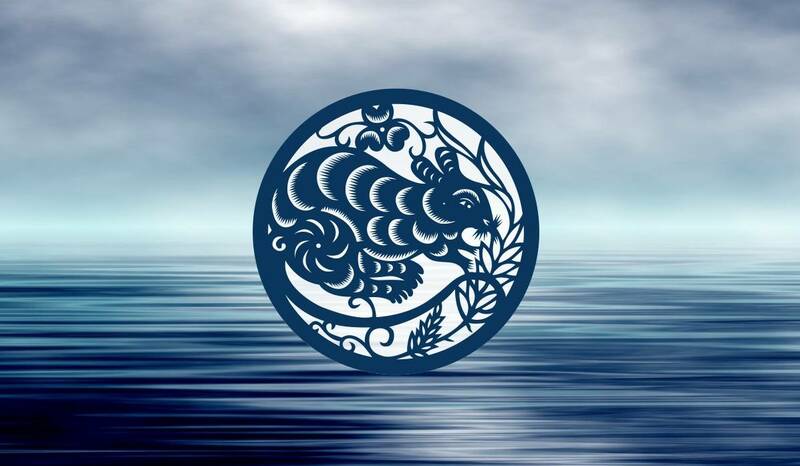 Because Water is present in both their year of birth and sign, Water Rats are the most convincing and manipulative natives of the Chinese zodiac. They think fast and can plan good strategies to have them out of trouble in no time. These people will get along with everyone. Their intuition will have them determining what others are thinking and intending to do faster than others say “Hello!”. This means they can adapt to any person and identify weaknesses for their approach to be as effective as possible. Those who’ll be manipulated by Water Rats won’t even realize how charmed they are. Luckily, these natives are sympathetic and well-intentioned, or the situation would be very bad for the others. Their ideal job is related to writing or speaking in public. Something academic would also suit them very well. This man wants peace and can resolve conflicts by talking calmly and smoothly. People like him will always have friends everywhere they will go. This native is intuitive and can choose the right direction in life. He knows what others are thinking because he thinks fast. He knows how to support his loved ones and how to defeat his enemies because he’s aware of their weaknesses. People will respect and appreciate his opinions. The Water Rat man doesn’t mind compromising but he won’t do it because he usually doesn’t need others to be in his life and to interact too much with them. When it comes to business, he’s persevering and determined. Patient and witty, he will surely get the most important things in his life done better than others. As far as romance goes, he’s delicate and loving. Honest and decent, he will always keep his word when given to his partner. He’s imaginative and cares in a very romantic way. The lady of his dreams will get to experience his greatest talents, but in a subtle manner. It’s impossible to argue with him because he only wants peace. This man loves being with his family and living a quiet life. He wants attention and to get approval from the ones he loves. After all, he’s a delicate and vulnerable personality. This lady is famous for her calm. She likes to dream and to think deeply. But she won’t share what she’s imagining with others. She likes having friends and keeping the relationships with them going for years. The Water Rat woman will never be in a bad mood because she’s composed, surrounded by friends and positive. She will most likely have a successful career because she’s smart and doesn’t mind working hard. Not to mention she can really communicate with her bosses and colleagues. She will make many efforts to obtain a high position at work. Everyone will listen to what she has to say because they know she has a good intuition. At home, she’ll be the most calm and gentle wife and mother. Her home will be impeccable because she likes everything to be clean. While she will love her work, she will still pay more attention to her family life, giving up everything for them if necessary. She’s the most patient and loving mother in the Chinese zodiac as she likes playing with her children and doing work around the house. She will listen to her kids, not trying to impose her decisions on them. She will be able to always stand for the ones she loves, no matter how gentle and kind she seems.